Celerity Technologies has revolutionized the use of fiber optics for av system applications. As experts in fiber optics and HDMI we have designed a product that answers the needs of av enthusiasts, professionals and installers. 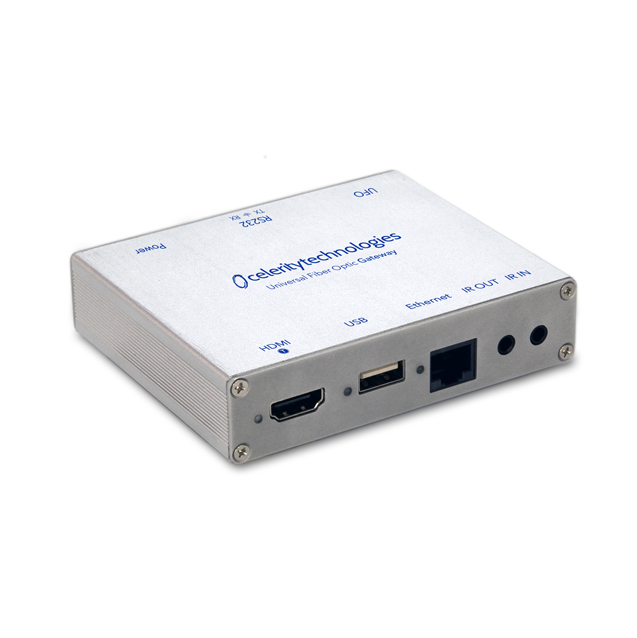 Offers the best picture and sound quality without and interference or loss of signal integrity. Fiber optic cables are slim and easily hidden and Celerity features a detachable connector cable making it very easy for professional AV technicians to install the fiber optic cable in walls, ceilings, and conduit. Breathtaking. Celerity includes an LED indicator on the fiber optic connectors. These LEDs are really important and convenient. They let you know that the Celerity Fiber Optic cable is properly working from end-to-end. Confidence. Eliminates the need for connecting a separate audio cable between your TV and AV receiver. Convenient. Power is easy to connect with Celerity. Power at the source component (TX - transmit) is drawn from the source HDMI connector using the HDMI "hot plug". At the display (RX – receive), power is easily connected via a USB port on the TV and with the Celerity USB power cable which is wired into the Celerity Detachable HDMI connector. Easy. 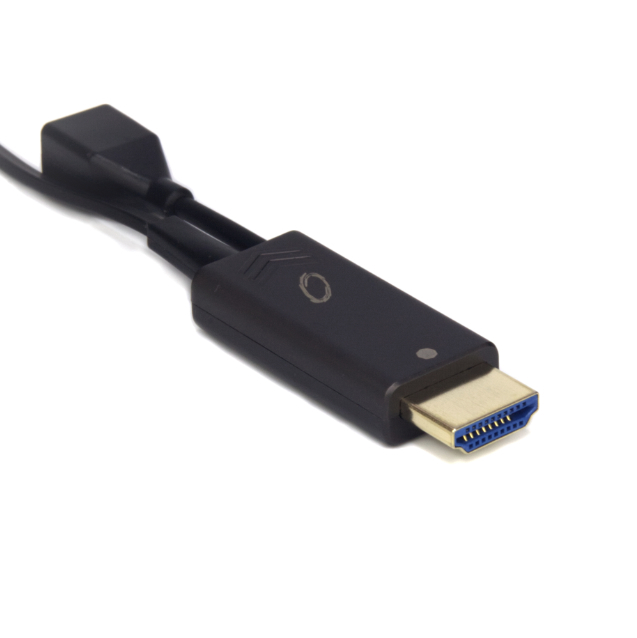 Advanced electronic technology by Celerity has produced the world's smallest HDMI interface for long distance and best picture quality. Celerity fiber optic cables can now be easily hidden and no "black boxes" are necessary and you get plug and play HDMI. Sleek. 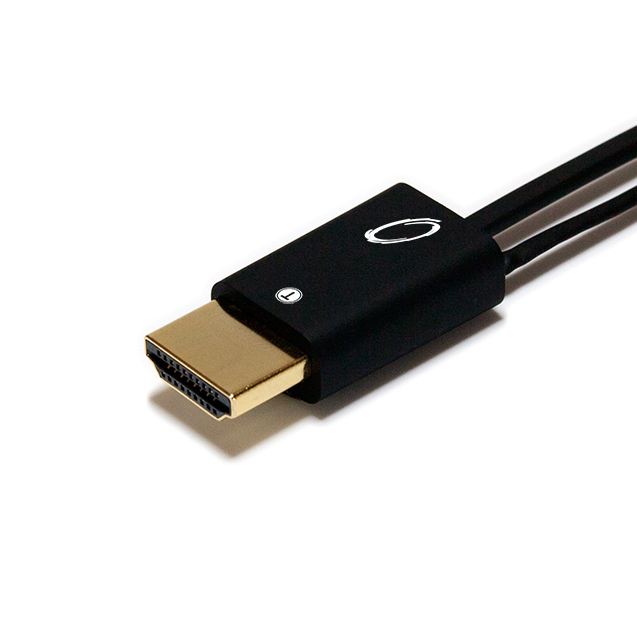 Celerity Fiber Optic HDMI is very efficient as its power needs are limited to very low levels. Green.